WALTHAM, Mass. and WHEELING, Ill., January 18 2012 - Excelitas Technologies, a global technology leader focused on delivering innovative, customized optoelectronics to OEMs seeking high-performance technology solutions, introduced the latest LED Fiber Optic Illuminator Module in its XLM Series specifically designed for integration into OEM Medical device applications. The new product, dubbed the XLM Plus, comes complete with electronics and communications interfaces and is suited to Endoscopy, Surgical Microscopy, and Headlamp applications. The product is manufactured in Excelitas Technologies’ Wheeling, Ill., USA facility, which is ISO 13485:2003-certified. 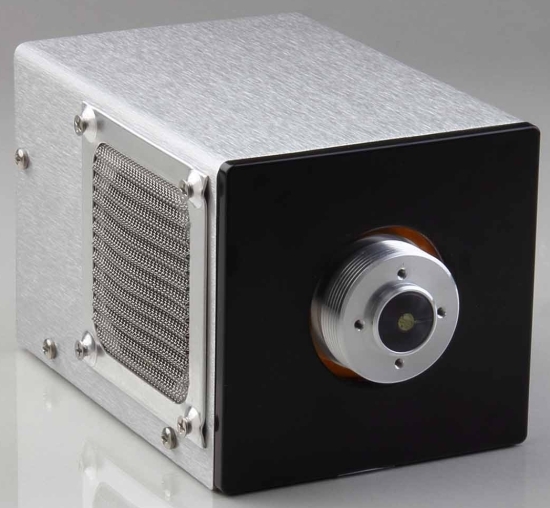 The new XLM Plus LED Fiber Optic Light Module with Electronics offers light output that is comparable to 180 W Xenon sources, yet with the advantages of LED lighting, which include long life, less heat output than Xenon, and virtually no ultraviolet or infrared radiation, which eliminates the need for filtering. The XLM Plus LED Light Module is compliant with medical safety standards IEC/EN 60601-1 and EN60601-1-2. The unit includes integrated electronic circuitry for safety alarms, error mode and power status indicators. It provides circuitry for connection to fiber safety interlocks. In the event a fiber is removed from the illuminator during use, the XLM Plus LED Fiber Optic Light Module can be immediately shut off, which is a unique safety feature for vision protection. “Excelitas’ XLM Plus LED Fiber Optic Light Module with Electronics is an important addition to our growing portfolio of solid state lighting products that are specifically designed for integration into OEM medical device applications,” said Joel Falcone, senior vice president and general manager of Excelitas Technologies’ global lighting business. “Excelitas’ XLM Plus delivers brilliant, uniform light for endoscopy, surgical microscopy, and headlamp applications, allowing doctors to better perform diagnostic and therapeutic procedures, with all the advantages of state-of-the-art LED lighting,” Falcone added. The XLM Plus operates on 12V DC or 24V DC input. Light intensity can be varied by constant current and/or by an internal or external Pulse Width Modulation (PWM) signal. PWM enables users to control light output while maintaining a stable Correlated Color Temperature. In addition, the Module’s RS-232 and auxiliary interfaces allow users to control the light source from a remote location and easily interface the light source with camera systems. Other product features include integrated thermal monitoring, variable speed fan, and over-temp protection. These features increase patient safety and aid in ensuring a long operational life, upon integration into a medical OEM’s finished device. The Model Number for the XLM Plus LED Fiber Optic Light Module with Electronics is OTFI-0275. Excelitas’ XLM Series LED Fiber Optic Light Module without Electronics is Model Number, OTFI-0250. More information on the XLM Series of LED Fiber Optic Light Modules for Medical OEMs.